Which camp are you in, Green Smoothies or Green Juices? Over the past weekend, I spent Sunday morning, pulling weeds with my neighbors at the street entrance to our local bush walk. It was my 1st time with the group so they naturally asked me lots of questions about what I do, which for a new business is gold. So I shared as you do. I then got the question, whats better, green smoothies or green juices. What a great question, and it really is a very personal thing. 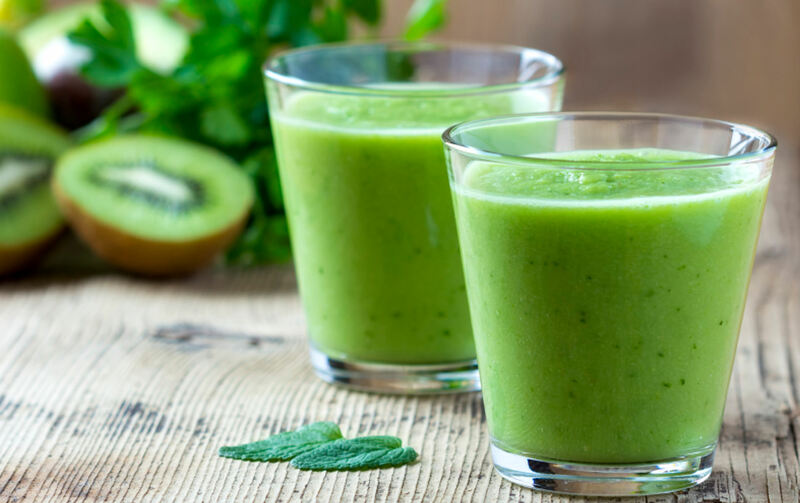 Smoothies are a great way to have your #fiber packed beverage and with a few additions becomes a complete meal. They are filling, easy, quick, and allow your creative nature to have some fun. If you want to turn a humble smoothie into a meal, add some protein – which could be nuts or a good quality protein powder. The down side of smoothies are the amount of fiber, yes we want the fiber, but some folks find it too hard to digest. Green juices on the other hand remove most if not all the fiber leaving you with the chlorophyll. 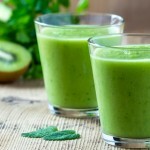 Our bodies absorb this faster, directly to our cells then is possible with the same amount of vegetables in a smoothie. The removal of the fiber also makes it easier for some people to process. The draw back, however, is it not a complete meal. So what do I do – I drink both! Some days when I can’t figure out what to eat for breakfast or lunch, I’ll go with a smoothie. On other days when I need a boost or to round out my breakfast or snack I’ll have a juice. My favorite juice is cucumber, apple, parsley, spinach and fresh ginger. My smoothie is avocado, cos lettuce, kale, blueberries, handful of walnuts OR almonds, chia seeds (or flax seeds) , and a few dates. #Chlorophyll has the molecular structure almost identical to #hemoglobin – where the center atom is iron and with Chlorophyll its magnesium. Chlorophyll helps to rebuild and replenish our red blood cells, boosting our energy and increasing our well being almost instantly. So cool, right! More reading on the Pros and Cons of Green Smoothies v Green Juices + more on Chlorophyll.